I got involved in rescue by volunteering for the ASPCA walking shelter dogs many years ago. I later volunteered at a smaller rescue organization where I met Barbara. We realized that we had similar goals and shared the same philosophy. I’m a Finance person by trade, and Barbara is a very successful real estate entrepreneur. We wanted to bring business-minded decision making to the emotional process of pet rescue. At Woof we pull the cats and dogs we believe will be the easiest to adopt out. While we applaud those people and groups who take on the tough cases, since we believe every animal deserves a chance, we can’t justify taking on the difficult cases when so many highly adoptable pets aren’t making it out of the shelter. While one tough case (i.e., a pet with a health or behavior issue) could take months or years to rehabilitate and place, we can rehome multiple healthy, sociable dogs and cats in that same time frame. This philosophy allows us to steadily churn out more rescues through our little network of friends and volunteers. We also believe we provide a service to our adopters. 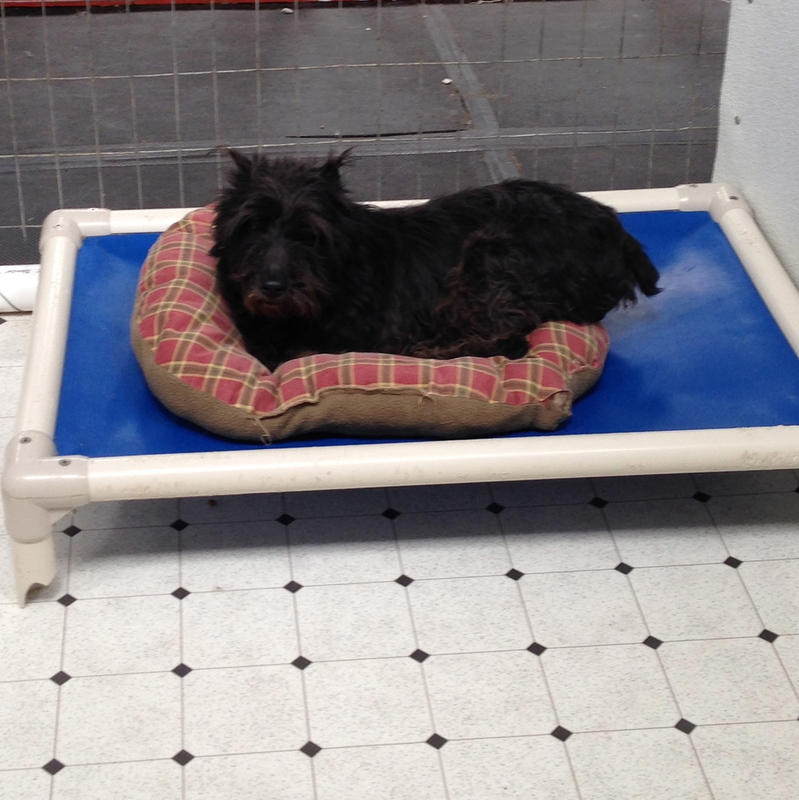 We are experienced at selecting shelter pets – we hand pick the “top dogs” (and cats!) from the awesome choices available at the shelter at any time. This is something most people don’t want to do and probably wouldn’t be very good at. In addition, our adopters meet our rescues in the low stress environment of a private foster home. We’re slow but steady. We only place a few animals a month. We provide tons of support to adopters to help make each adoption a success. Training tips, moral support, etc. We never take on more pets than we can handle, which allows us to really focus on finding the best families for our rescues. I’m really proud of what we’ve accomplished with Woof Rescue. We recently reviewed our stats and realized we’ve placed close to 200 dogs and cats over the last few years. Woof Rescue proves that you can lead a busy life and still find the time to help animals. We don’t have a building or any paid staff. All I really do is orchestrate a lot of activities by email and phone that I’m frequently not even physically present for. All it takes is an internet connection and some motivation! The only dogs and cats who are put to sleep are the sad, sick, (mess)ed up ones. WRONG!!! Most shelter animals are highly adoptable. The tough cases are actually the exception, not the rule. The only thing “wrong” with most shelter pets is that there is literally no place for them to go. Highly social, healthy pets are put down every day in shelters across the country. That means puppies and kittens too!! Don’t donate, adopt from, or support “kill” shelters. OMG SO WRONG!! Every municipality has one organization which is charged with animal control for that community. In NYC the organization is Animal Care & Control (AC&C). AC&C is the only shelter in the city with an open door policy – in accordance with their contract with the city they must accept every pet that comes through their doors. This means that only one organization in NYC is forced to make the difficult choice to euthanize pets. All the other shelters and rescue groups in NYC only take in as many pets as they have room for. In fact, these organizations pull most of their rescues from AC&C. The city shelters are typically woefully underfunded and most in need of support from their communities! Don’t forget about your city shelter! Where do I start…PEOPLE create dangerous dogs. If you neglect or abuse any dog you can create an aggressive animal. Granted, pitbulls were bred for a long time to be aggressive to other dogs for the evil purpose of creating a dog fighting champion. This is an unfortunate truth that advocates for the breed must acknowledge. I focus on placing dog-friendly pitbulls (and there are plenty!) because those are the types of pitties I’d most like to put back into the community. But the sordid dog-fighting history actually has a little known side effect. Fighting dogs were bred to be EXTRA friendly and non-aggressive to humans so that a human could step into the fighting ring and pull a highly agitated dog out of a frenzied fight and the dog would not turn their aggression onto the human. Fighting breeders created dogs with an exceptional lack of aggression towards humans. Interesting, right? Pitbulls are actually fantastic with children. Incredibly fantastic. Rescue work is so sad…I just couldn’t do it! Cindy, a 2 year old petite cat for adoption with an INCREDIBLY cuddly and friendly puppy-like personality! I find that adult cats adapt better to foster homes than dogs. Dogs usually take at least a couple of days to unwind from the shelter experience and start acting normal in a foster home. A well adjusted cat often makes him or herself at home in about 2 minutes!!! If you’d like to chat about getting involved with rescue or if you’re interested in adopting a pet please contact me at aschant@yahoo.com. Watching this video literally brought tears to my eyes. It's heart-wrenching, but it's also a strong testament to what the love and kindness of the caring people in this world can do. Humans domesticated dogs thousands of years ago. Today's domesticated dogs did not choose to be at the mercy of human beings, but yet they are so often discarded, hurt and betrayed by the very people they depend on. It sickens me to think that there are animals out there suffering like the little one in this video, but all we can do is work to rescue every single one and help find them the loving homes they deserve. The next time you or someone you know is considering adding a dog to their loving family, please consider dogs like Rufo. They deserve so much love and have so much to offer! There's no denying the incredible appreciation and love that shelter dogs show their adopters. It's like they know they've been saved and they want to show you how thankful they are. Take a look at this video of a stray dog that was brought to a shelter and scheduled to be put to sleep. The poor dog was so petrified of her surroundings that the shelter staff decided to call in a specialist to work with her and calm her down. Take a look at what happens and remember to not be too quick to judge shelter dogs. You have no idea what they've been through. But they could end up being your very best friend. This video shows that there are still good people in this world. But the mission doesn't end there. Innocent dogs like Nala are rescued by caring people every day, but they need forever homes too. So the next time you or someone you know is considering adding a dog to their family, please consider adopting from your local animal shelter or rescue group. After what some of these animals have been through, they deserve warm, loving homes.